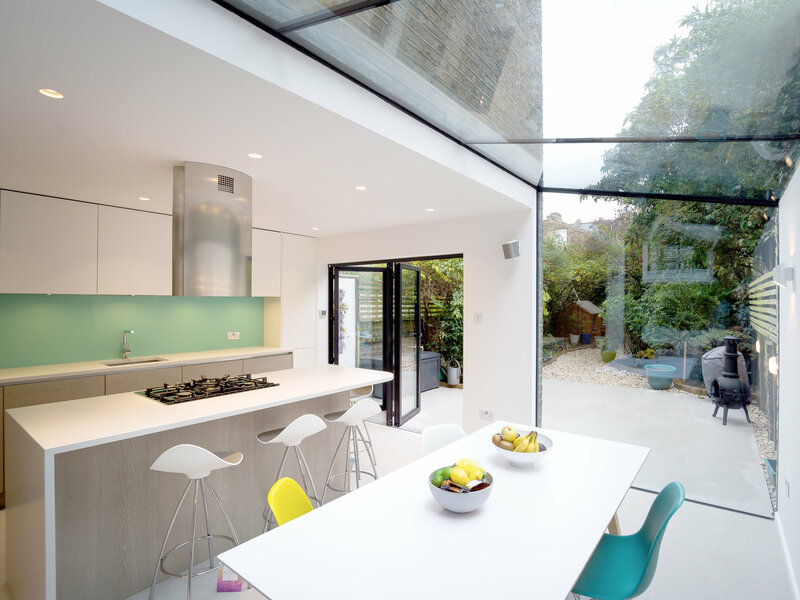 Striking kitchen extension to a terraced property located within a Conservation Area. 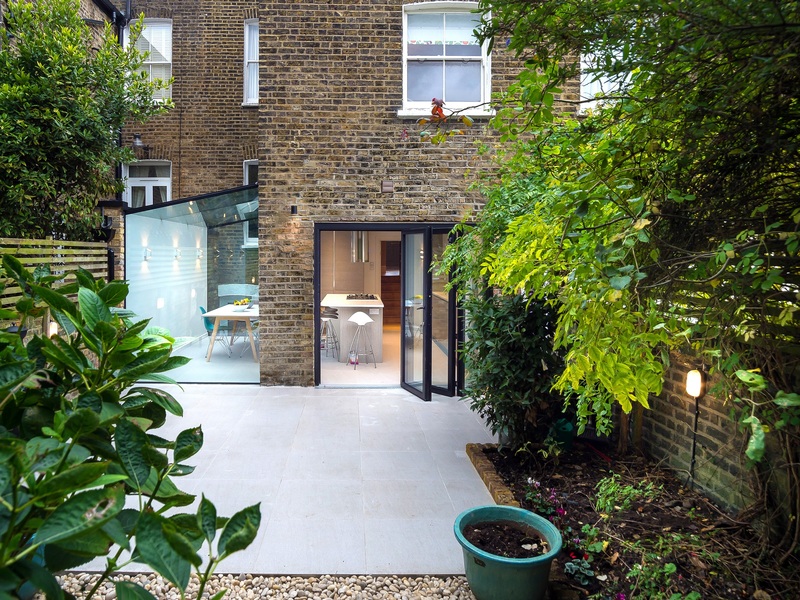 Made of frameless glass, the new addition creates a seamless connection between the inside and the outside. 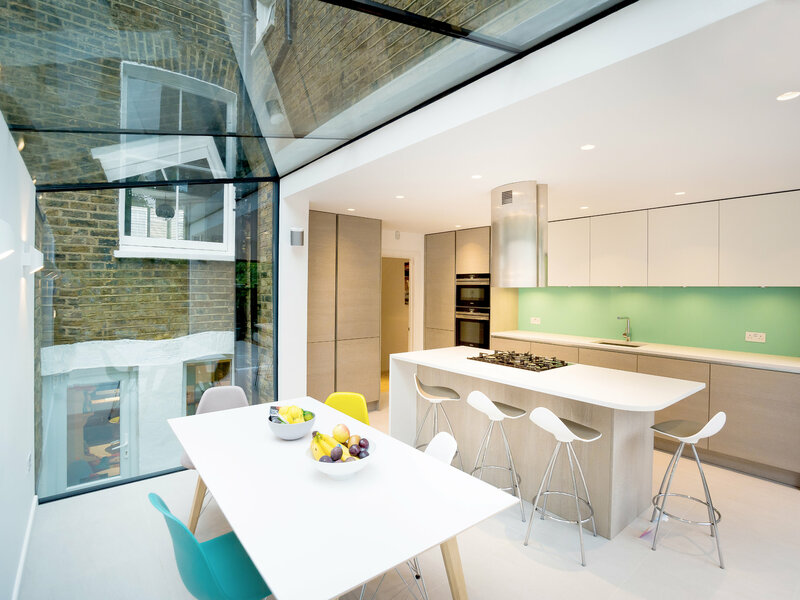 The minimal frameless glass structure was also chosen so that the views from the existing windows are not blocked. 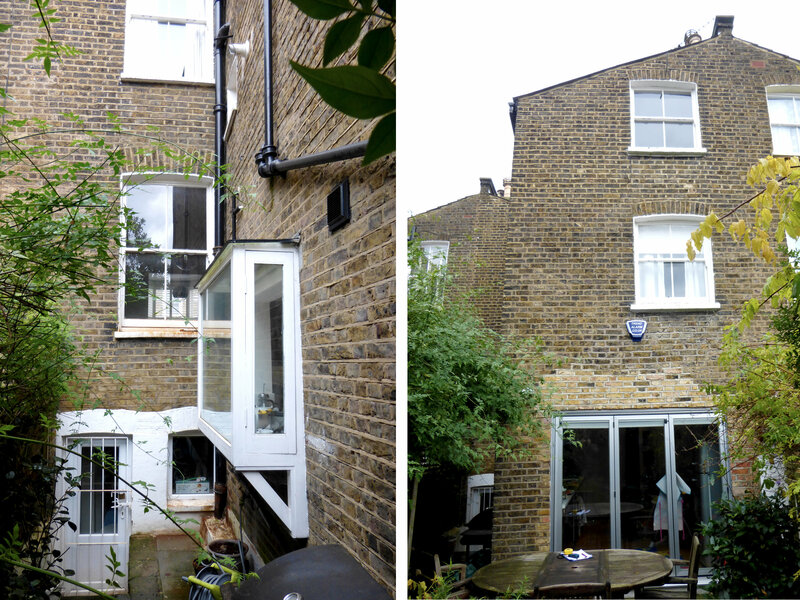 To maximise the space in the kitchen/diner, the existing chimney breast was removed. 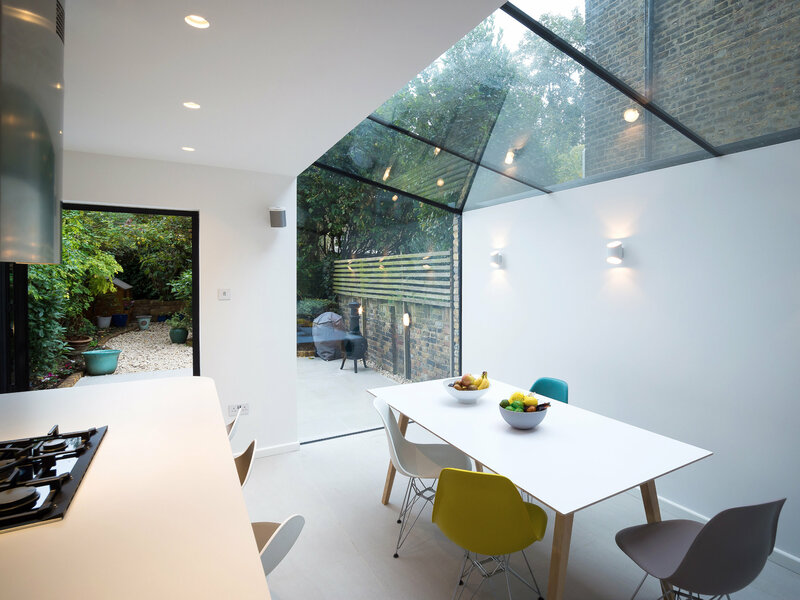 The high quality modern materials and crisp detailing sit in a complementary juxtaposition to the original features of the house. 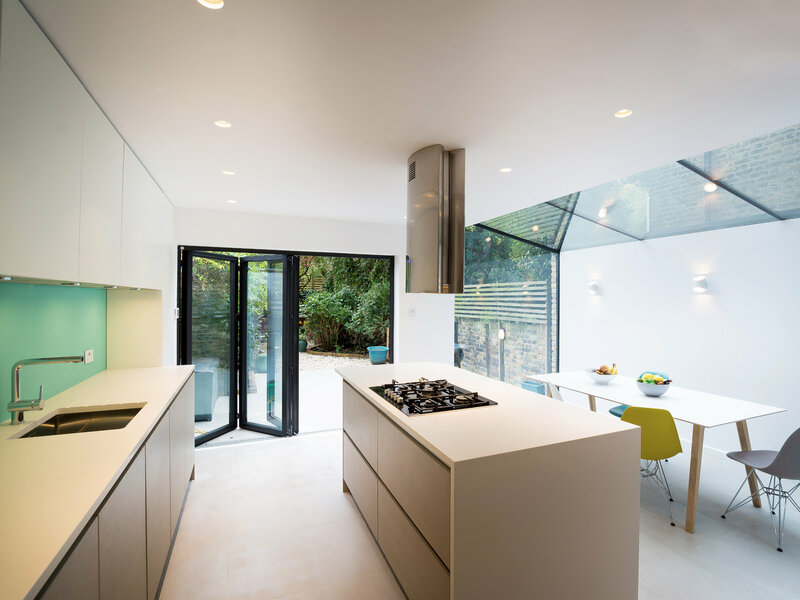 The floor tiles flow seamlessly from the kitchen area into the garden to further reinforce the connection between the internal space and the garden. 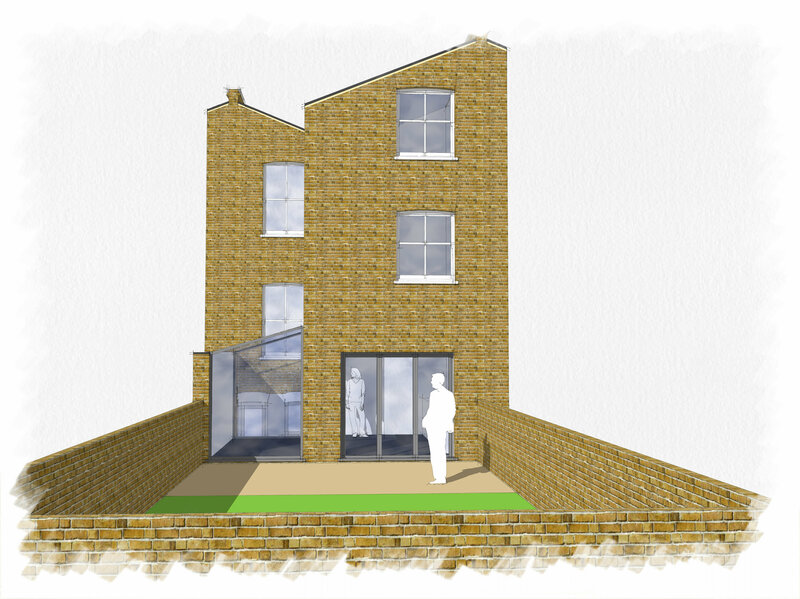 The project also involved a refurbishment of a bedroom where a shower room was created. 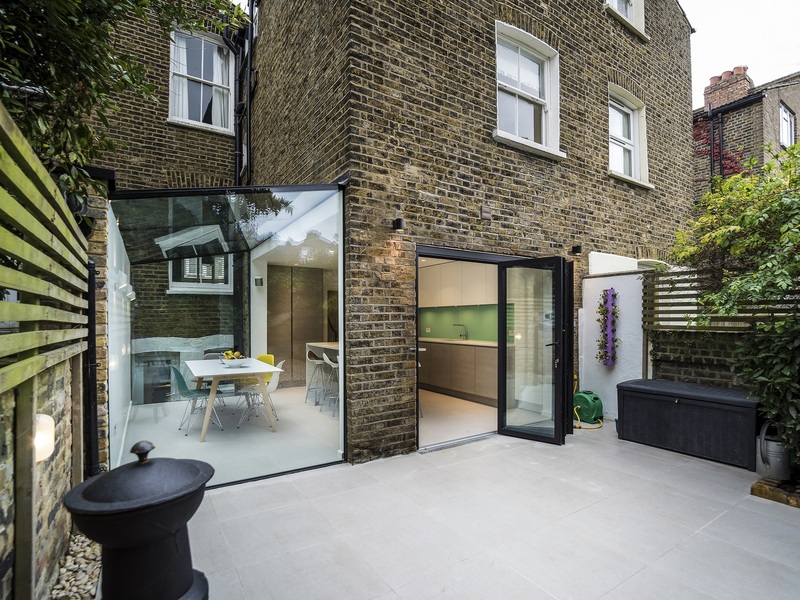 The project was Highly Commended at the LABC 2016 Building Excellence Awards. 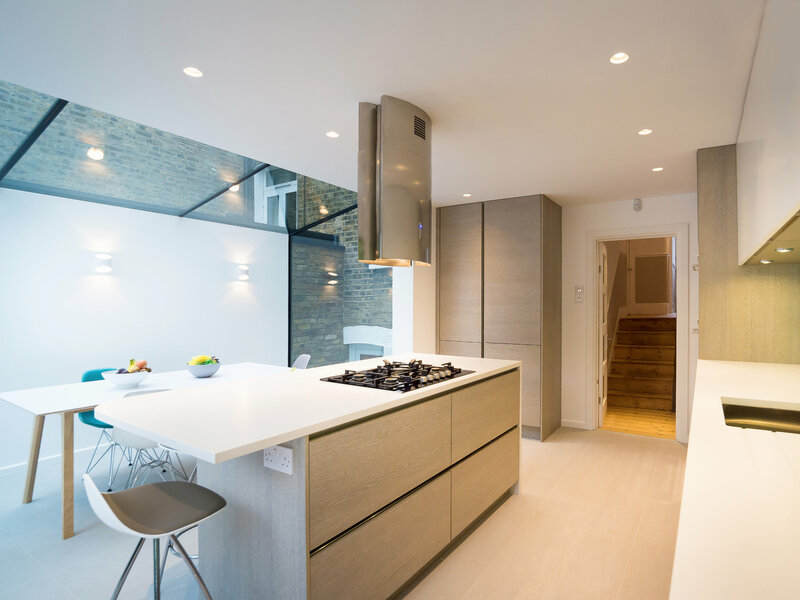 The project featured in the Essential Kitchen Bathroom Bedroom magazine.